This frozen, creamy and sweet dessert or snack proves that added sugar is not always essential to satisfy your cravings. Make sure to keep a bag of peeled bananas in your freezer so you can whip this delight together at a moment’s notice. The children will love you and will not even realise just what a healthier alternative to ice cream it is. -Put all the raspberries in a blender and blitz until smooth. If mix is a bit dry, add a few drops of water to loosen a little. Once smooth you can transfer into a bowl and pop aside. – Take the frozen banana and slice into chunks. Put in the blender, add the milk and then blitz. This may take a good minute or so to become super smooth, so every so often just stop the blender and scrape the sides and blend again. You will notice the mixture becoming very ice cream like. 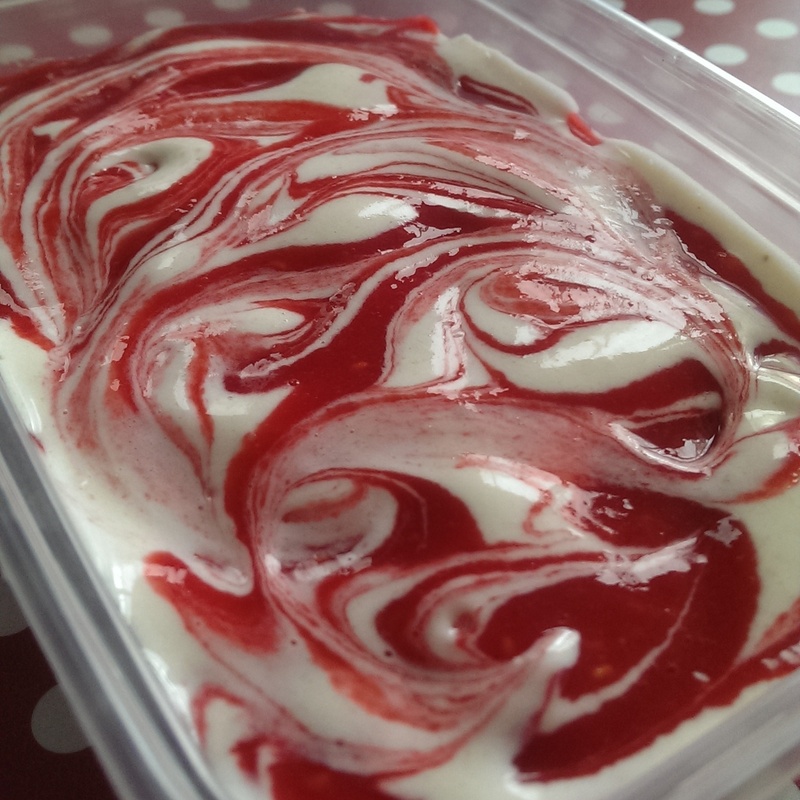 – Pop half the nice-cream mixture into a container, then spoon over half of the smooth raspberry mix and then using a small spoon create swirls, gently combining the two mixes together. Add the other half of the nice-cream on top with the remaining raspberry mix and swirl them some more. Divide into bowls and enjoy. 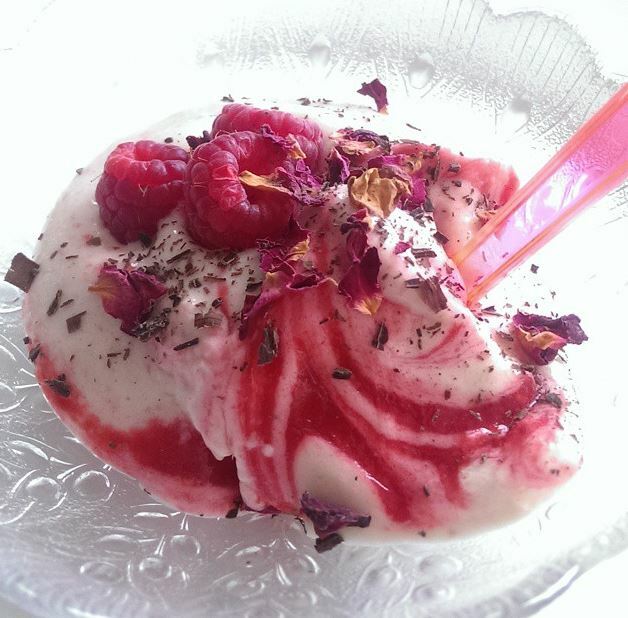 (I severed mine with some fresh raspberries, dried rose petals and a sprinkle of dark chocolate.